Info: 3BR, 3BA Waterfront Property with 1300+ sq. ft. This waterfront Perdido Key Florida condo is for sale by owner at Sailmaker’s Place – the community has an on-site exercise facility along with a theater room. The Homeowner Association fee is billed quarterly is among the lowest in the area and includes the master HOA insurance policy, water, sewer, garbage, pick-up, ground maintenance, cable TV and internet service. Enjoy exceptional sunrises and sunsets from the front and back private balconies. 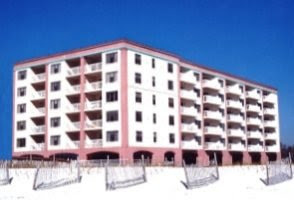 Sailmaker’s Place Condominiums are located where Big Lagoon and Old River meet at the bridge, on the east side of Perdido Key. Amenities for Sailmaker’s Place include a fishing pier, exercise room, social room, outdoor pool and a theater. Sailmaker’s Place was constructed in 2007 and is a low-density development, with only 30 homes. Perdido Key Florida has warm, subtropical weather, with an average temperature of 75 degrees and 343 days of sunshine. This barrier island is an unincorporated community in Escambia County Florida located between Pensacola, Florida and Orange Beach, Alabama – no more than a few hundred yards wide in some places, Perdido Key stretches some 16 miles from near Pensacola to Perdido Pass Bridge in Orange Beach. To the south of Perdido Key is the Gulf of Mexico, with its white sand beaches and clear blue waters. North of Perdido Key are Old River and the Intracoastal Waterway. Perdido Key has a variety of accommodations, including vacation rentals by owner and popular hotels close by. If you’re looking for resort property in Perdido Key, outdoor activities, dining on fresh seafood….or just a relaxing day at the beach, Perdido Key has it all.